The gaming market is constantly marching forward. With next-generation devices being pushed towards us each year, we rarely have a moment to look back at what we’re leaving behind. Many video games get left on the scrapheap, incompatible with the latest tech or disconnected with gamers to warrant sequels. 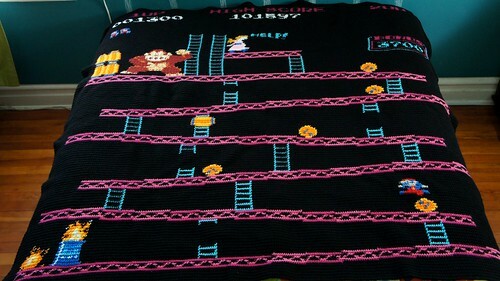 Yet some of the most classic games have spawned an assortment of extra lives and, despite looking somewhat refurbished, are more or less in their original configuration. Some other classic games have been regenerated and given a new home over the years. These include a number of slot machines which have been modernized for online casinos. For instance at mFortune you'll find a new slant on the classic board game Snakes and Ladders, featuring lots of mini-games, Wild-snakes, Snake-charmers and bonuses. The pay by phone casino site also has a retro-style fruit machine that looks just like the beloved machines from the local arcade you used to visit twenty years ago. Some archaic video games have emerged as in-game Easter eggs such as Black Ops 2's Nuketown 2025 that allows you to take time out and play an old-school Atari console. Whatever the format they take, some games just refuse to die and these are the greatest survivors from the '80s. 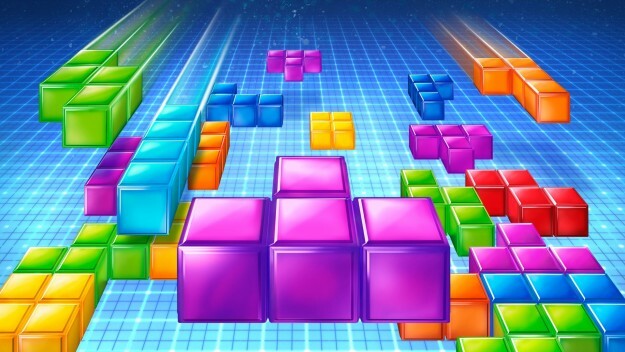 The tile-matching puzzle video game Tetris was originally designed and programmed by Russian game designer Alexey Pajitnov. It was released on June 6, 1984, while he was working for the Dorodnicyn Computing Centre of the Academy of Science of the USSR in Moscow. The game had a messy legal history until Nintendo claimed control towards the end of the '80s and launched the game on the NES and Game Boy where it achieved meteoric success. It’s been available on nearly every gaming platform since and although insanely addictive, Tetris is said to have modest health benefits like cravings control and Post Traumatic Stress Disorder prevention. Technically, you can't ever actually 'win Tetris', but you can learn some valuable life lessons as this unattributed quote states: “If Tetris has taught me anything, it’s that errors pile up and accomplishments disappear.” A movie triology is also planned with filming set to begin next year in China. Donkey Kong was the first title produced by revered designer and Nintendo mastermind Shigeru Miyamoto. While it would later become famous for the angry ape of its title and introducing us to the plumber Mario, its earliest incarnation was intended to be a Popeye versus Bluto game. 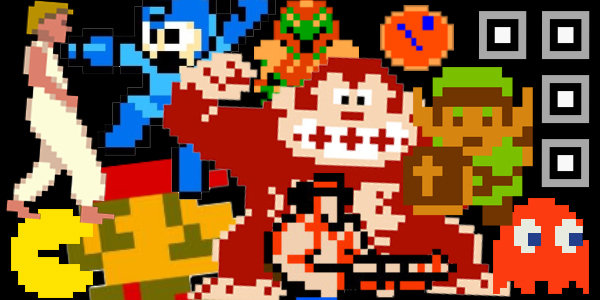 After dominating the golden age of arcades, Donkey Kong went on to have a massive influence on the future of Nintendo and a number of their future titles were heavily influenced by Miyamoto’s original. Although originally planned to be a scrolling left-to-right platformer, technical limitations forced the action on to a static screen. Miyamoto would later made side-scrolling adaptation years later under the title Super Mario Bros. Demanding adept timing and endless patience, it remains an enduring classic and is still a joy to play today. Another Shigeru Miyamoto creation, Zelda spawned the action-adventure genre and has become the most acclaimed video game franchise of all time. 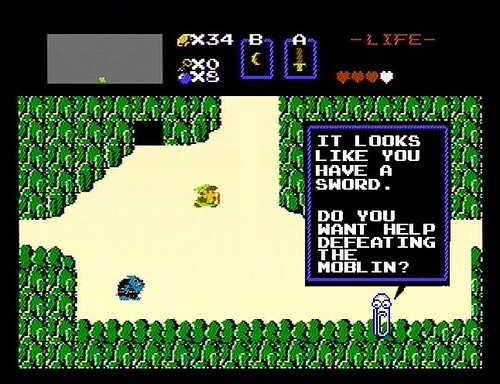 Mixing upgradable weapons with an expansive map and some decent puzzle sections, Link’s original adventure delivered an experience unlike anything console players had ever observed before. The ability to save progress was a revolutionary introduction at the time, giving gamers the option to pace themselves and scrutinising every last nook and cranny of Hyrule at their leisure. The series has unfailingly redefined what adventure games should be and there’s not an open-world game around today that wouldn’t give a nod of respect to Zelda. The new Legend of Zelda: Breath of the Wild is one of the most anticipated games of 2017. As a technology-intensive medium, not all games will age well. Yet, a great game is still worth playing even with out-of-date graphics. The three games featured here are undeniably great games and although nostalgia plays a factor, they can go toe-to-toe with today’s titles. These are exciting times to be a gamer with developments in Augmented Reality and Virtual Reality just around the corner, but these '80s games still remain in high regard around the industry.